We are always keen to collaborate with other brands, especially when we are already fans, so when the fabulous Mags from British jewellery brand, Toolally, asked if we would like to collaborate on a little project, we jumped at the chance! 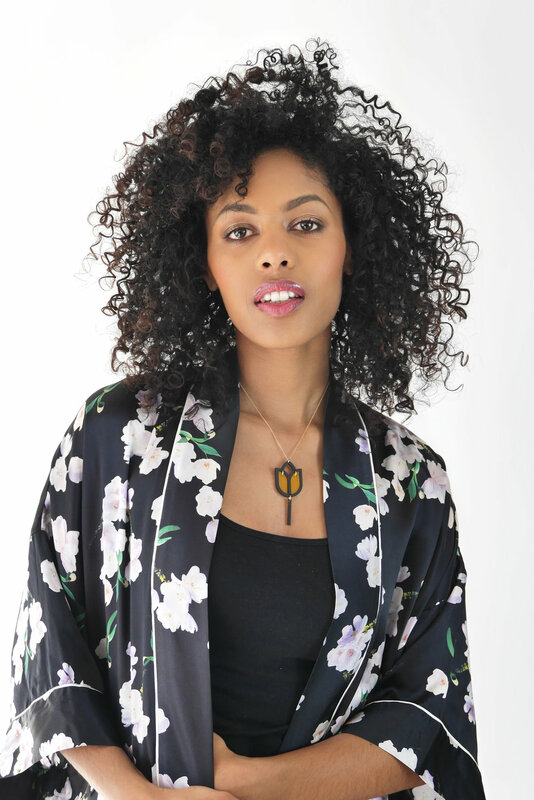 We met Mags, founder of Toolally, when she was kind enough to loan us some of her gorgeous bright, statement jewellery for one of our campaign shoots, and we have been huge fans ever since! Toolally earrings, made from super lightweight acrylic in mouthwatering colour combinations, make an instant statement, and give a super chic lift and finish to literally any outfit - and we have found them ridiculously addictive! The Violet & Wren Collection by Toolally is inspired by our SS18 collection, Vita. ‘Vita’ explores the controversial character of 1930’s chatelaine, Lady Vita Sackville-West, and her renowned gardens at Sissinghurst Castle. The collection is defined with a marrying of the feminine and masculine, the hard and soft, modern and historical, creating a complex and intriguing season where a maximalist celebration of colour, form and unapologetically showy florals are celebrated and embraced. Drawing inspiration from the dichotomy of Sackville-West’s character, and a 1930’s influence, Toolally has beautifully captured the essence of ‘Vita’, developing a collection where deep ebony acrylic frames soft, feminine shades of saffron and opaline, and delicate nudes juxtapose sapphire blues. 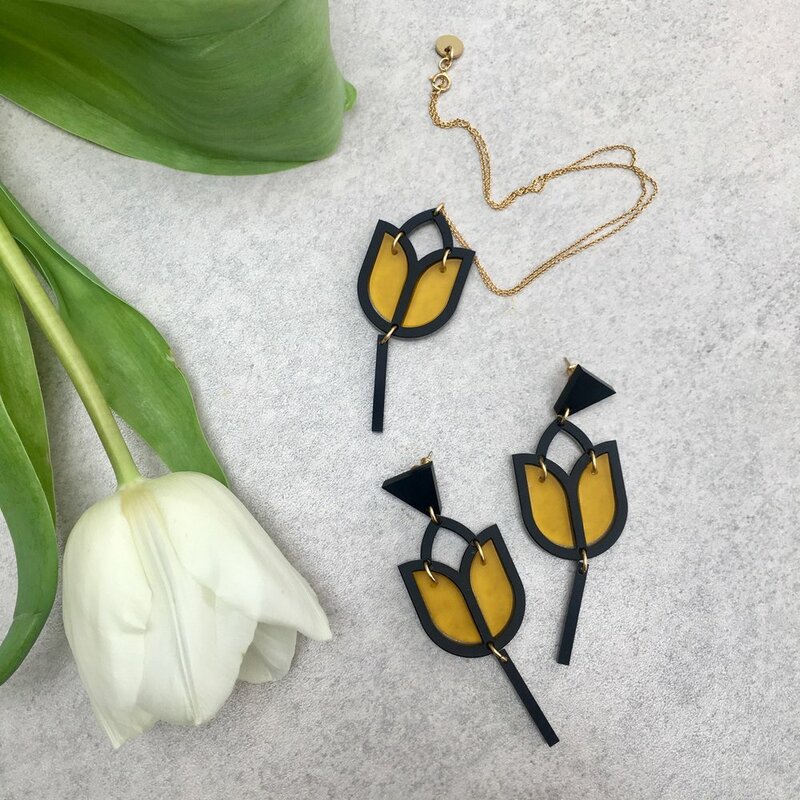 Silhouettes incorporate celebrated British flowers of the iris and tulip, in honour of our prints, to create pieces which are both bold and striking yet maintain a sense of femininity and elegance. Sitting alongside the signature earring, Mags has also developed matching necklaces, perfect for adding a little colour to necklines. Each piece is presented in a beautiful Toolally dust bag and gift box for safekeeping, with an exclusive insert about the collection. We hope you love the collection as much as we do, and that you all become Toolally addicts like us!